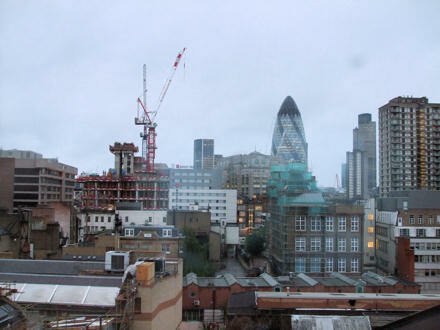 The view from my hotel window in London last week. Last week, from Sunday to Friday, I was in London on a course: PHP Programming and MySQL for Web Development with StayAhead Training. The course was a good introduction to PHP and MySQL, and I was the only person on the course (which you’ll know already if you follow my Twitter feed). I’ll reflect more on the course in the next couple of days once I process my thoughts. 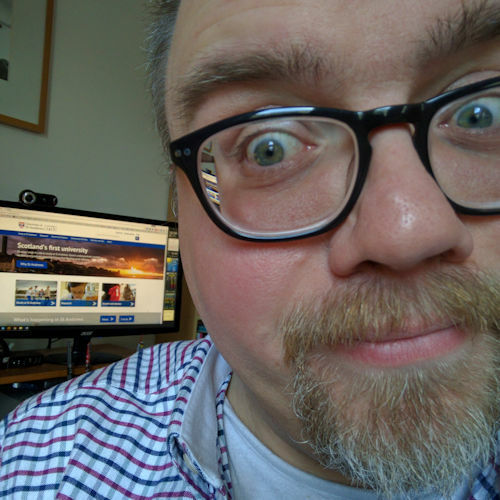 It had been my intention to blog while I was away — I even took my webcam — but the hotel didn’t offer free WiFi, which was annoying, and as it turned out I wasn’t around long enough in the evening to make the £2.00 per hour charge worthwhile, as I was catching up with some lovely friends. Many thanks to Steve and Lisa Lawson, Richard Grocock, Mike Jeremiah, Lindsey Dear and Graham Fairbairn for their company, friendship and laughter-making. I love you all! Today, though, I’m heading off again. This time north, to the other end of the island, to Inverness to catch up with a couple of friends … before they and we have twins in the next few months. 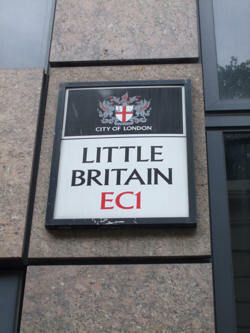 I sent a text to a couple of friends and family to tell them that I was standing on a street called “Little Britain”. My brother ‘won’ as he was the first to reply with the simple text: “Yeah, I know!” Good man! Sorry I’ll miss you! Have a lovely trip up north.